The reunification of Taiwan with China is only a matter of time and the island will receive a "destructive impact" if it acts with hostility against the Chinese mainland, mainland analysts said on Tuesday, the 40th anniversary of the publication of an "Open Letter to Taiwan Compatriots." To commemorate the letter's anniversary, Chinese President Xi Jinping, also general secretary of the Communist Party of China Central Committee and chairman of the Central Military Commission, will attend a gathering event scheduled for Wednesday morning at the Great Hall of the People in Beijing, and will deliver a speech at the gathering, to be held at 10 am, the Xinhua News Agency reported on Monday. Issued January 1, 1979 by the Standing Committee of the National People's Congress, the open letter initiated a cross-Straits development path oriented by peaceful reunification, and suggested to stop military confrontation and kick off exchanges among the people. After the letter issued, these proposals have been realized. Over the past 40 years, the stalemate between the two sides of the Straits has been broken and cooperation and exchanges have benefited peoples across the Straits, analysts noted. In the 1992 Consensus reached in Singapore, both sides recognized there is only one China and both the Chinese mainland and Taiwan belong to the same China. Through this consensus, exchanges were boosted between peoples across the Straits, but relations also saw tension when Taiwan's Democratic Progressive Party (DPP) came to power in 2000 and again in 2016. A "regional election" on the island in November brought huge losses to the pro-independence DPP, which became the ruling party in 2016. The Chinese Kuomintang (KMT) party, which acknowledges the 1992 Consensus, has regained control of many counties and cities in the island of Taiwan. But this won't change the DPP administration's denial of the consensus and the DPP is likely to boost their efforts against the Chinese mainland in 2019, Yang Lixian, a research fellow at the Beijing-based Research Center of Cross-Straits Relations, told the Global Times on Tuesday. The new year speech delivered by Taiwan leader Tsai Ing-wen on Tuesday also signaled a tough stance toward the mainland, warning against continued "threats," Bloomberg reported. The DPP administration welcomed the Asia Reassurance Initiative Act, approved by the US Congress and signed by US President Donald Trump in December, that allows arm sales and high-level visits by the two sides. Zhang Hua, assistant research fellow at the Institute of Taiwan Studies under the Chinese Academy of Social Sciences, told the Global Times on Tuesday that the US should stop using Taiwan to interrupt the China-US relationship, and that the behavior of the Tsai administration in pandering to the US will harm the interests of the people on the island. Observers from the mainland said that if the DPP takes its own course and goes against the mainland, it will spark an intense military crisis, and whether the conflict takes place between the two sides of the Straits or between China and the US, the island will be the first to receive the destructive impact. Yang asserted that "as long as the Chinese mainland is developing, the goal of reunification is foreseeable. It is only a matter of time." Reunification is likely to happen before 2035, Zhang predicted. Based on the 1992 Consensus and open letter, the mainland has implemented various measures in recent years aimed at sharing the fruits of mainland development with Taiwan compatriots. Zheng Boyu, 31, from Taiwan, manager of Beijing-based Vstartup Station of Taiwan, an institution helping Taiwan youth apply to mainland universities and gain internships in firms based in the mainland, told the Global Times on Tuesday, "After 40 years, many young people from Taiwan, including me, are still enjoying the benefits that came from the open letter in education and career development." Zheng hoped a new generation of Taiwan people will benefit from closer cross-Straits relations. 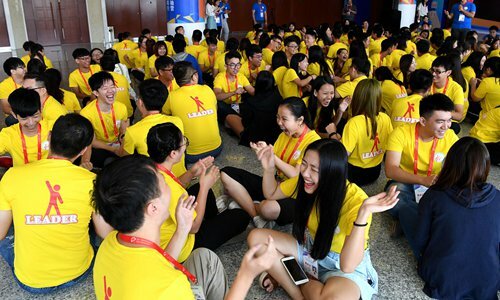 "Taiwan teenagers are willing to contribute to the development of the mainland and the reunification of China," Zheng said. "Although the DPP will add more difficulties to normal exchanges between people in 2019, more teenagers from the island will decide to vote with their feet [travel, study and work in the mainland]." Sixty local governments in 22 provincial-level regions on the Chinese mainland have tailored measures to implement preferential policies for Taiwan compatriots in industry, finance and taxation, land use, employment, education and healthcare, Xinhua reported on December 26, citing the Taiwan Affairs Office of the State Council, China's cabinet.